The rosogolla might well be the only Indian dessert, perhaps only Indian food item even, to have its own biopic. 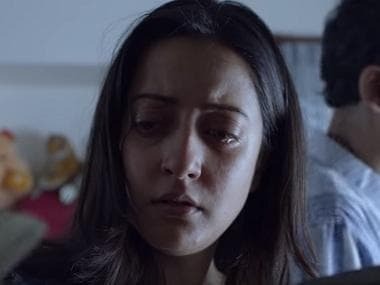 Alas, Rosogolla, the film, ends up mostly spongy, a story with too little bite and too much syrup. Nobin Chandra Sen, the so called Christopher Columbus of the rosogolla, is played as a floppy-haired goofy sweet maker by Ujaan Ganguly, depicted as so soft and dreamy and bashful, he seems to be made out of curdled milk chhena himself just like his famous rosogolla. The rosogolla has been in the news lately thanks to a tug-o-war between Bengal and Odisha. Bengal won a Geographical Indicator for the Bengal Rosogolla and now celebrates an annual Rosogolla Diwas. This film, produced by the Midas touch Bengali filmmaker duo Nandita Roy and Shiboprosad Mukherjee, seems to be looking to cash in on the newfound interest in the rosogolla. But the film struggles to find its sweet spot. The best food films are always about much more than food - passionate illicit love (Like Water for Chocolate), the clash between tradition and modernity (Eat Drink Man Woman) thwarted dreams (Babette’s Feast) or unlikely aspirations (Ratatouille). Rosogolla is also basically a story about a poor starry-eyed man who must prove his mettle and his love as he dreams of creating something new. Director Pavel tries hard enough but the script is entirely too predictable. Nobin is the poor relation in the family who mocks his aspirations. He has the stereotypical widowed mother who will scold him but also move heaven and earth to make his dream come true. He will fall in love with the saucy feisty local girl who will ultimately stand by her man. There’s even a golden-hearted tawaif, singing fakirs, a white cockatoo, a couple of sahibs and lots of babus gingerly promenading around in giant Raja Ram Mohan Roy hats. None of it is surprising because we all know how the story will pan out – poor man dreams big, many obstacles come, obstacles are overcome, rosogolla is born with full Eureka moment elation. It’s the Robert Bruce try-try-try again story, just wrapped in a rosogolla. What could have been interesting was the treatment of the story, how a particular period in Bengal’s colonial history was evoked, a period of showy wealth, bustling commerce and vibrant Renaissance. Nobin as the film’s gooey centre is the stereotype of the dreamy Bengali with no business sense. He spends most of the film mumbling, falling flat on his back and being bullied and mollycoddled by various women. No wonder he seems permanently infantilised. We are shown 20-year-old Nobin being fed by hand by his mother. And then later we are shown Nobin as a married man being fed by hand by his wife. It’s probably meant to be an endearing portrait of a child-man who is too busy dreaming to take care of himself. You are supposed to root for him. Instead you just want to smack him. If the English were all about the stiff upper lip, the Bengali man, as embodied by this Nobin Chandra Sen, is all quivering lower lip. There are performances around him that have some spark to them. 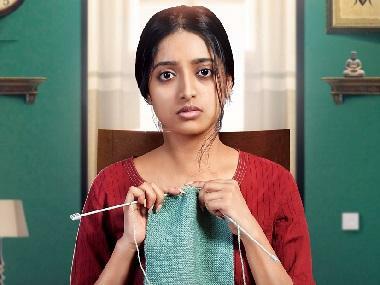 Newcomer Abantika Biswas as Khirode is a lively scene-stealer. Aparajita Adhya as the paan-chewing rich zamindar wife who gives him a break exudes natural warmth. Kharaj Mukherjee does his best as his jovial assistant, a Hindustani Sancho Panza to this Bengali Don Quixote. Bidipta Chakrabarty brings quiet dignity to the eternally thankless character of the widowed mother. The CGI is middling but it’s still a decent attempt at evoking 19th century Kolkata and its colourful eccentricities. Food historians might quibble with some of the dramatic liberties. Haripada Bhowmick, author of a history on Rosogolla says that the story that Portuguese and their love for cottage cheese brought chhena to Bengal is untrue. In this film though Nobin is shown owing a debt of gratitude to the sahibs of Bandel, a Portuguese colony where he finally finds the solution to his chhena problem. In the end the film is a warm-hearted ode to a beloved sweet and the power of the little guy. It even squeezes in a bit of debate on the ethics of patenting food, something that has echoes of a much more modern debate on rosogolla. And there are heart-warming moments of female empowerment as his wife Khirodmoni takes charge of the family business because her husband’s head is always up in the clouds. At the end of one angry meltdown with Khirod about his lack of practical business sense, she explodes. Nobin puffs up in anger but finally all he manages to say is “Dhyat” as he leaves the house in a huff. That’s the extent of his machismo. It’s a rather anti-climactic moment but perhaps in a time of toxic masculinity, the real courage of Rosogolla is in daring to present its hero as a bit of a spongy rosogolla himself.